We kicked off the new year by transitioning from a project of Amizade to an independent nonprofit organization. We wrapped up Switchboard Stories, a long-running series spotlighting members and projects in our network. 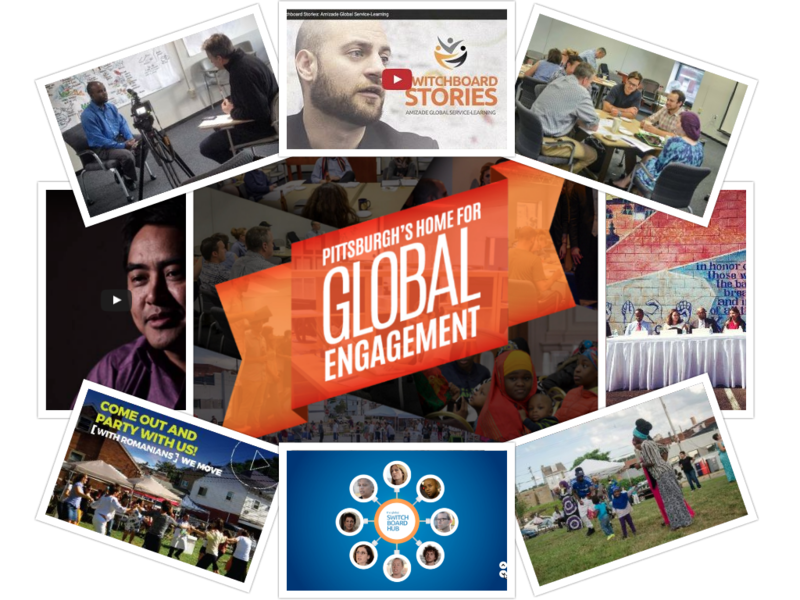 We partnered with Change Agency on a storytelling project called From Other to Us, helping to document the challenges and opportunities experienced by Pittsburgh immigrants. In partnership with The Community Blueprint and Shift Collaborative we launched [ ] We Move, a series of community celebrations featuring a diverse set of community groups from across the city of Pittsburgh. We partnered with The Sprout Fund and began designing The Global Switchboard Hub, a virtual home for global engagement. We welcomed several new resident members including GlobalPittsburgh, Friends of Farmworkers and Change Agency, and became the fiscal sponsors of The Community Blueprint.